1. Nintendo 64 Cartridge Soap. 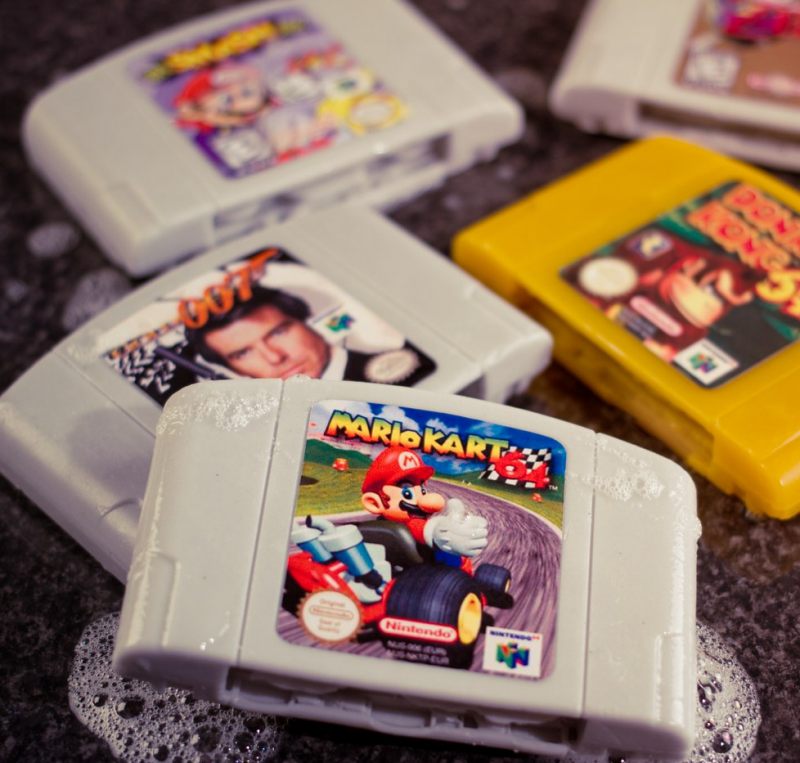 No, those in the picture aren’t real Nintendo cartridges lathered in bubbles; they are actual soap bars shaped like exact life-sized replicas of the most popular Nintendo 64 cartridges. These cartridge soaps are so brilliantly crafted it’s almost a shame to use them, so you might as well make a collection out of them. What better place to store all of your Wii, PlayStation, Xbox and/or PC games and consoles than frigging Donkey Kong shelves? 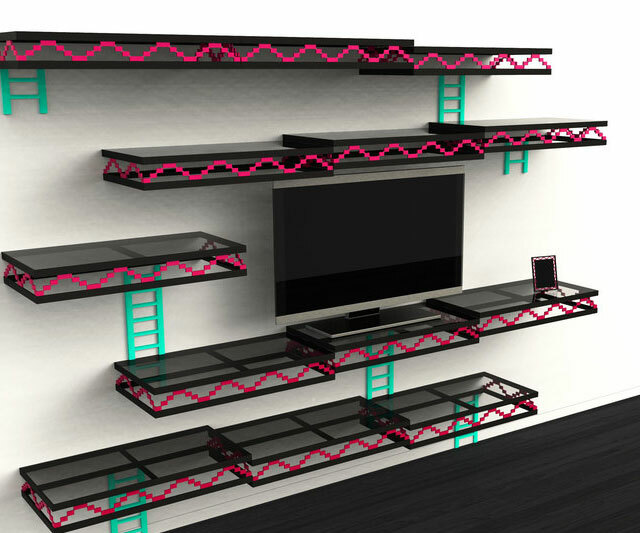 Step up your bedroom game and be the envy of your gaming squad with this awesome yet sleek and modern-looking set of shelves, which you can even arrange to fit your TV. What you are looking at is probably one of the coolest accessories for iPad devices ever created. 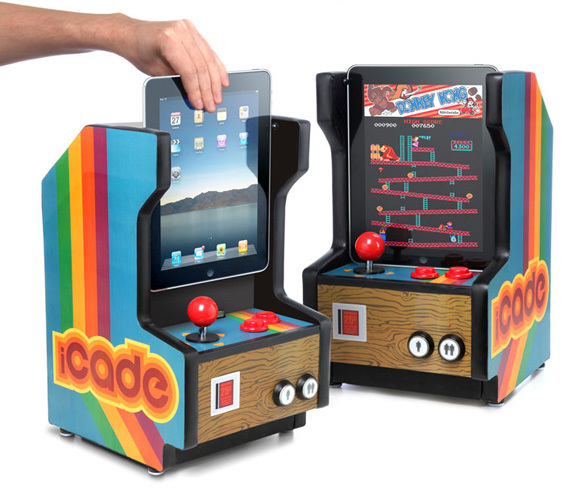 Its official name is iCade, and as you may have already guessed, this serves the purpose of a mini portable arcade cabinet: It even comes with a fully functional 8-way joystick and 2 buttons. All you have to do is place an iPad vertically inside the cabinet and the connection between both is done via Bluetooth. 4. Smartphone Game Boy Adapter. Now you can relive your favorite game boy playing days with Hyperkin’s ingenious game boy adapter. The gamepad case holds almost identical appearance and aesthetic to the real things. It even has a back slot where you can perfectly insert game boy and game boy color cartridges to play them by only downloading a simple app called SmartBoy. 5. 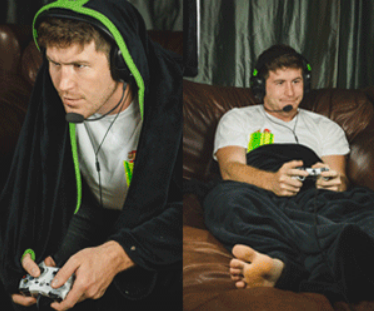 Ultimate Blanket for Gamers. 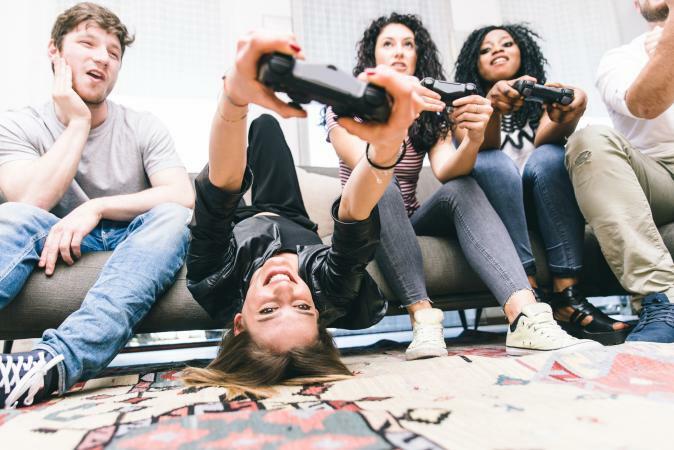 Every gamer knows video game playing experiences can be vastly improved if one manages to find THE one cozy, not-too-small yet not-too-big blanket. Well, look no further than this genius blanket, which comes equipped with a hood, finger holes, foot holes and inside pockets to store from your phone to midnight snacks for you to feast in between play times. 6. iPhone Battery and Gaming Controller. 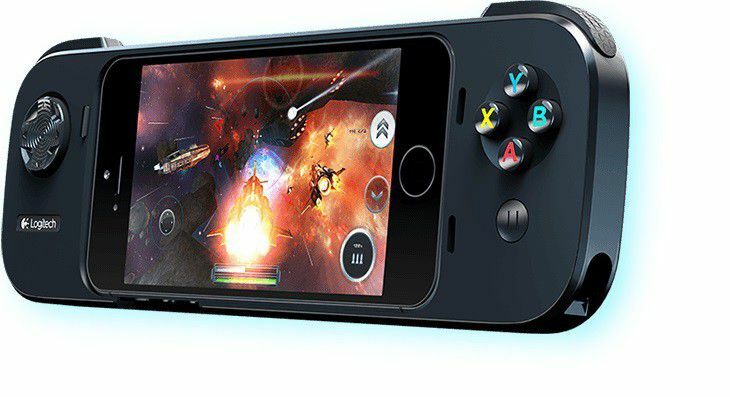 Step up your iPhone gaming experience while also extending your phone’s battery life with Logitech’s gaming case. 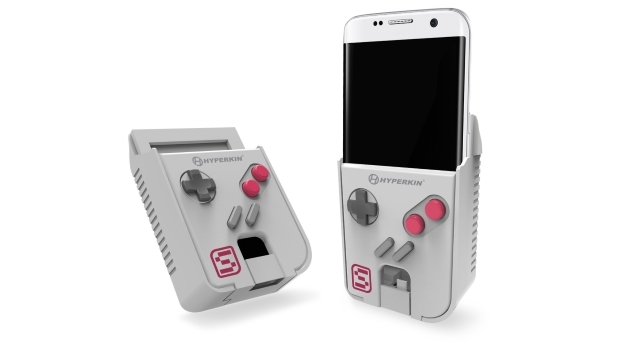 It has a directional pad, 4 face buttons and 2 shoulder buttons, and a 1500 milliamp-hour battery. When attached to the phone it bears a striking resemblance to Playstation’s PSP. 7. Nintendo Console Key Holder. 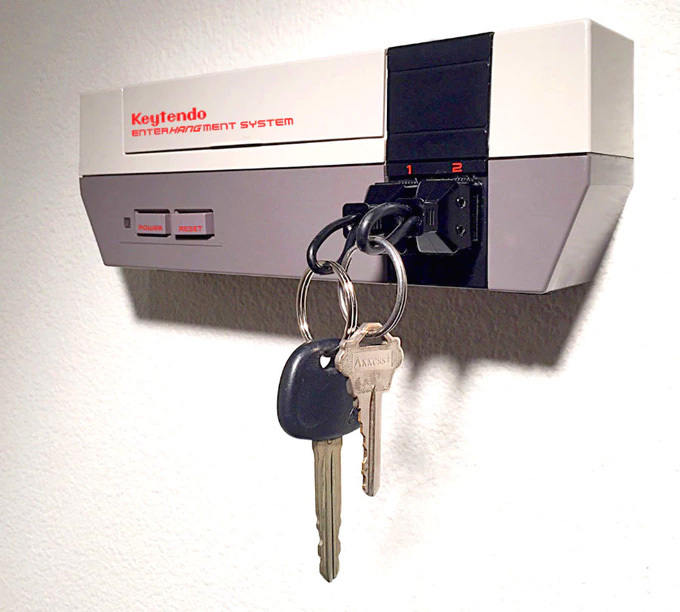 You will never forget where you put your keys again once you are the proud owner of this really cool Nintendo console replica key holder (for you and whomever you choose as you player 2), called Keytendo. It comes with 2 controller input chains, 1 mounting wall bracket and all the hardware necessary to install it. Illuminate your path and get rid of the darkness with the essence of the Golden Goddesses who created Hyrule: The Triforce. 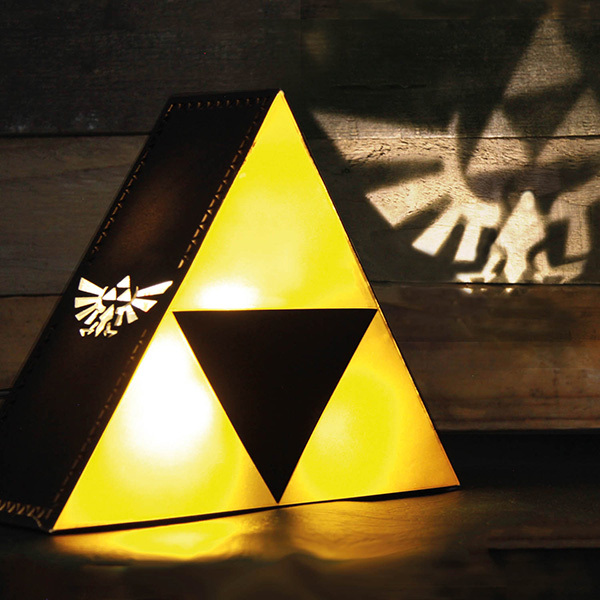 Add a touch of geekiness to your bedroom or office with this Triforce lamp that also projects the Hyrule Wingcrest from the sides. This could be the perfect gift for any Street Fight fan (or any gamer, really). 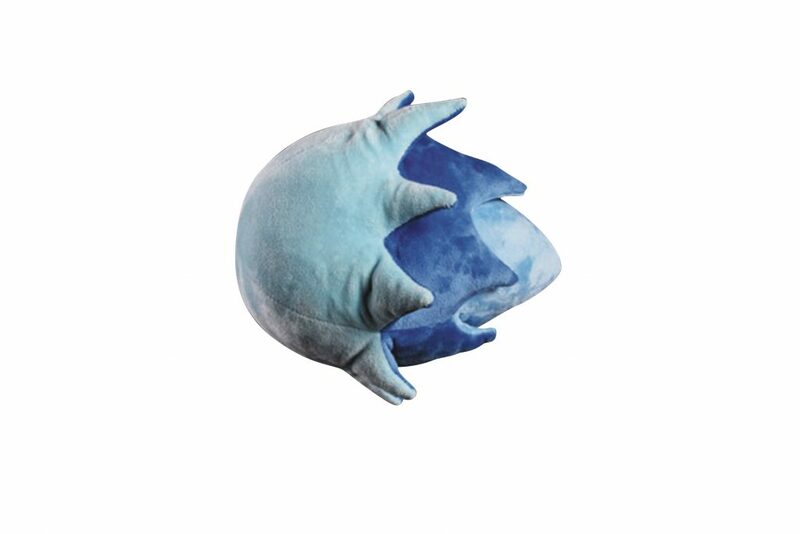 Level up your pillow fights with the Hadoken Plush Ball, and win them all by throwing this soft and comfy blue fireball at your family and/or friends. 10. 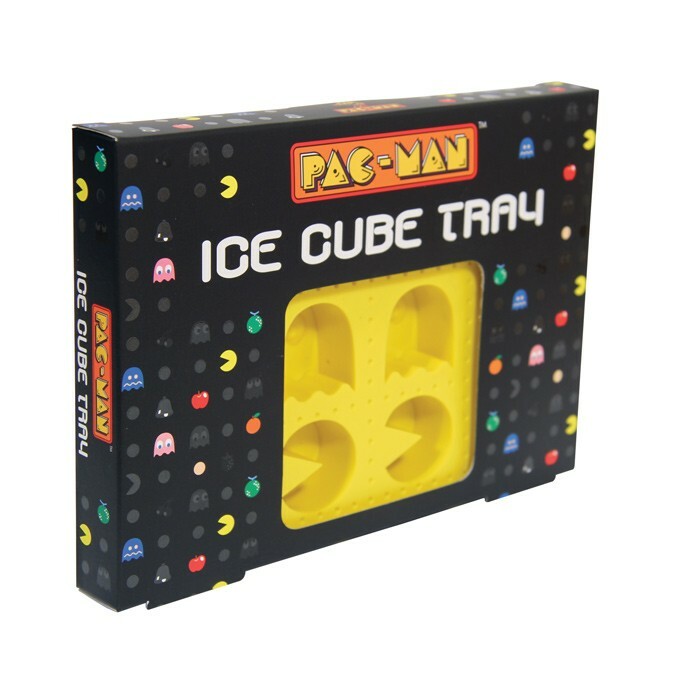 Pac Man Ice Cube Tray. Whether you’re celebrating any occasion or just having dinner, make your drinks and cocktails way more fun by adding little ice cubes with the shape of Pac-Man characters. You can also get creative and make Pac-Man shaped jello shots with different colors!